Hanson and it's hiking trails are in the area of the middle western sector. This being an inland town, more challenging to find and of the more rural of suburban towns surrounding Boston. The main highways through this town are route 14 which runs horizontally across the northern portion of town. None of these routes run directly off route 3 but can be accessed by route 18. Hanson is one of the younger towns in the south shore. of til it's incorporation in 1820. In the earliest of days the town of Hanson was part of Duxbury. It then separated as part of the town of Pembroke in 1712. Most of the part that is now Hanson was part of land called the "Major's Purchase" bought by Major Josiah Winslow in 1662 from the Indian sachem Josias (also called Josiah) Wampatuck. The area that is now called Hanson became the West Parish of Pembroke. Some time in 1746 the question of whether this Western Parish should separate from the town of Pembroke first came up for consideration. It was voted against. boundary line between the two was. Committees were appointed to establish the line without much success as it led to controversy. Finally in 1811 there were agents selected to represent the two parishes that were able to adjust the bounds and these were approved by all. separate and become incorporated. This happened the following February in 1820. The town takes it's name from Alexander Conte Hanson. Hanson was labeled an extreme Federalist. He published a newspaper called the Federal Republican which he used to broadcast his views on the newly declared war of 1812. His views angered many to the point of causing a riot which was named the Baltimore Riot of 1812. A mob decided to destroy his office and press. Hanson then relocated and reissued the article. The mob once again found him but this time he had armed associates in his company. The crowd was fired upon killing one person. Hanson and his associates were escorted to jail (protective custody). leaving him for dead. He did in fact survive and moved his paper again and continued publishing without incident. A year later as the war became unfavorable, he ran as a representative in Congress til he resigned in 1816. He then served as a senator filling a vacancy of a senator that had resigned. All of this happened in Maryland. What did the history of a senator and publisher in Maryland have to do with a small town in Massachusetts? Was it respect and admiration of someone who showed conviction for their beliefs? The decision to honor this senator came from influence by Thomas Hobart who was the agent that helped in incorporating the town. original. One of these paths was called Bridgewater Path. This lead from Duxbury to Bridgewater. It doesn't seem to be known who the first settler of Hanson was. 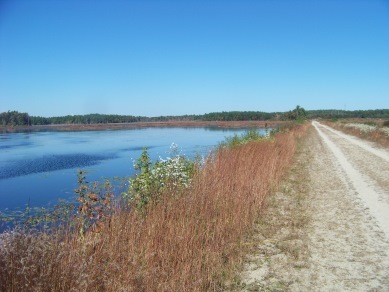 As early as 1679 a James Bishop lived on the Indian Head River. William Tubbs was in the area in 1684 and granted land from the Major's purchase. Miles of hiking trails around ponds, though forest and the open space of cranberry bogs and a cedar swamp. 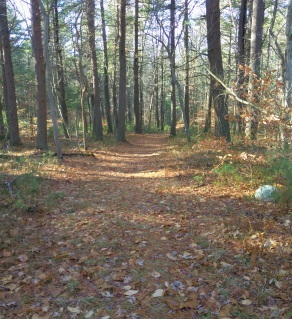 The Indian Crossway is a historical passageway used by the early Native Americans to cross through the Burrage Pond and the Cedar Swamp above it. This section of trail is part of the Bay Circuit Trail. 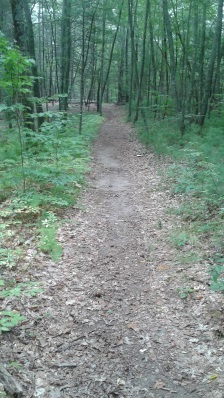 connect to a larger system of trails in neighboring towns. Hanson Veterans Memorial Town Forest. 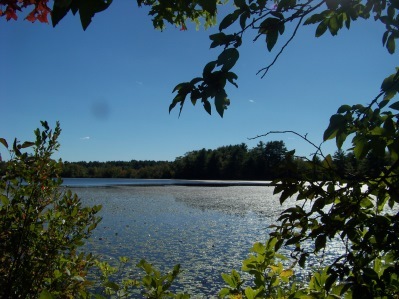 spots along the Wampatuck Pond.